Sharing parenting has been supporting families and professionals for 10 years now and has planned a different idea each month to help celebrate with our local community. To celebrate our 10th birthday in 2019 for the month of April, we have given away a free True Colours personality assessment session to the Newmarket BID Community group. We have a lot of wonderful BLUE leadership in the area! 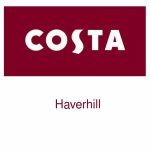 In February Costa Coffee in Haverhill donated 10 coffee vouchers for us to give away to help us celebrate! The first 10 people who invited a friend to like our Facebook page and email ‘COFFEE’ to amba@sharingparenting.com WIN! 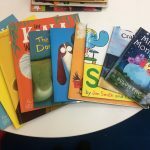 In January we donated 10 CHILDREN’S BOOKS with themes of social and emotional wellbeing to Newmarket Library! 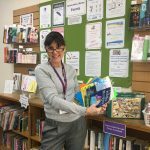 “Newmarket library were really pleased with our donation. 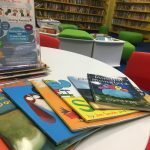 We wanted to support our local library as we work closely with both Newmarket and Brandon Libraries and hold FREE monthly ‘Sharing Time’ for toddlers, children, and their carers! Sharing Time explores themes in wellbeing such as feelings, mindfulness, friends, healthy eating and so much more and really supports our parenting programmes and support. We will continue to celebrate throughout 2019 – look out on our news page on our website here and on our social media platforms: Facebook, Twitter, Instagram and Linkedin. If you have any ideas you would like to share with us, or we have supported you and your family and/or professional development in some way over the past 10 years please do contact us, as we would love to hear from you. Watch this space to find out about next months celebration! You can read more about us and local parenting support on our ‘What is Sharing Parenting?‘ webpage.